So many wonderful events to fill your weekend! Check out these 27 fun things to do in Vancouver on Friday, April 12, Saturday, April 13, and Sunday, April 14. Vaisakhi Parade, Michael Bublé, and more! And for more things happening around town be sure to check out our events section. What: It’s a beautiful day as Canadian crooner and 12-time JUNO Award winner, Michael Bublé brings his Love tour in Vancouver. 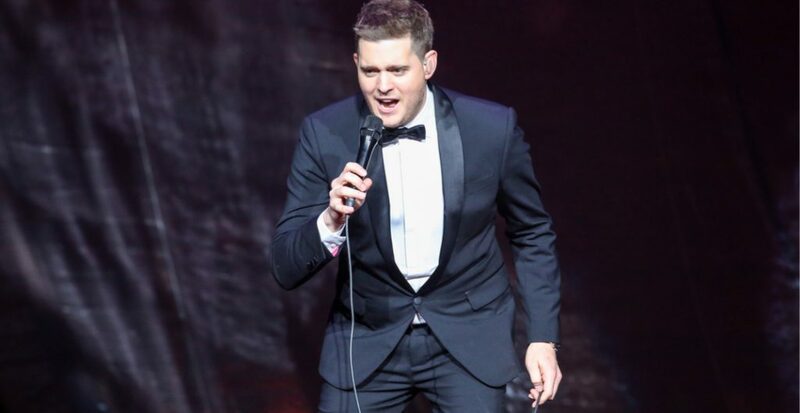 Bublé has already completed five sold-out world tours, won four Grammy Awards and sold over 60 million records over the course of his extraordinary career. What: North America’s largest festival of snow sports, music, arts and mountain culture, après-ski, and much more. Taking place over five action-packed days, the festival is set to feature the Saudan Couloir Ski Race Extreme, the Monster Energy Boarderstyle World Championships, and the Ski and Snowboard Big Air. The festival also features a variety of creative showdowns including the CLIF Intersection in Association with Protect Our Winters Canada, Swatch 72 Hour Filmmaker Showdown, and the Pro Photographer Showdown. Listen to live music as you party during the WSSF Outdoor Concert Series which brings in big names in the music scene to get you dancing. WSSF continues after dark at bars throughout Whistler where you can check out live bands and DJs every night from April 10 to 14. What: Thunder has been featured on television shows such as “The View,” “The Today Show” and “The Ellen DeGeneres Show.” With dynamic dance routines, colourful costumes, state-of-the-art lighting and hilarious acts, Thunder From Down Under is a fully interactive experience that is like no other male revue show in the world. What: Lindbjerg Academy of Performing Arts’, Rising Stars Advanced, present Titanic the Musical. Titanic opened on Broadway in 1997, and won all five Tony Awards it was nominated for including the award for Best Musical and Best Score. What: The Lalas was created by celebrity choreographer Erin Lamont and features beauty, brains, bustiers and music. Every performance is uniquely choreographed and no two are alike. What: Gary’s stand up appearances have been seen on every late night show including The Tonight Show with Jay Leno, Jimmy Kimmel Live, Conan, and Late Night with Seth Meyers. Other television credits include NBC’s The Last Comic Standing, Comedy Central’s Premium Blend, John Oliver’s New York Stand-Up Show for Comedy Central, and his second one-hour special for Comedy Central and Netflix, Gary Gulman: In This Economy? What: Drags Benny, a series of pop-up events in Canada supporting national Pride initiatives, is offering Vancouverites the chance to attend its inaugural event next month at Juke Fried Chicken Chinatown. 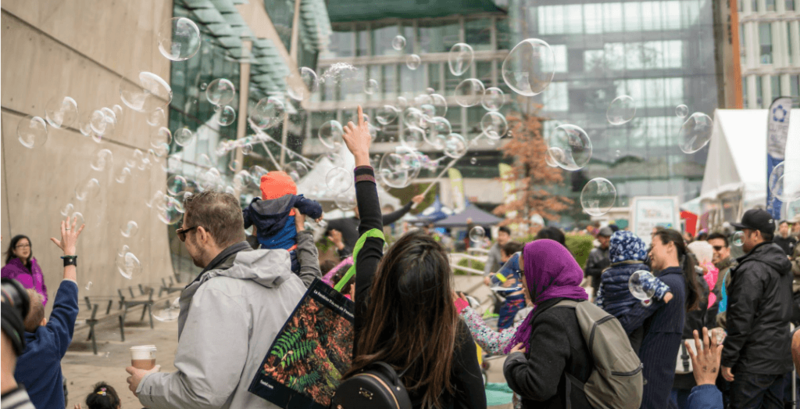 What: The City of Surrey will host its ninth annual Earth Day celebration ‘Party for the Planet’ at Civic Plaza on Saturday, April 13 from 10 am to 6 pm. The signature Surrey event will feature the new Live Green World, offering environmental workshops, a sustainable marketplace, acoustic concert series and local vendors. Soulful singer Colin Bullock, indie pop duo Harlequin Gold, and children’s performers Bobs & Lolo will perform on the TD Main Stage, located inside Council Chambers. 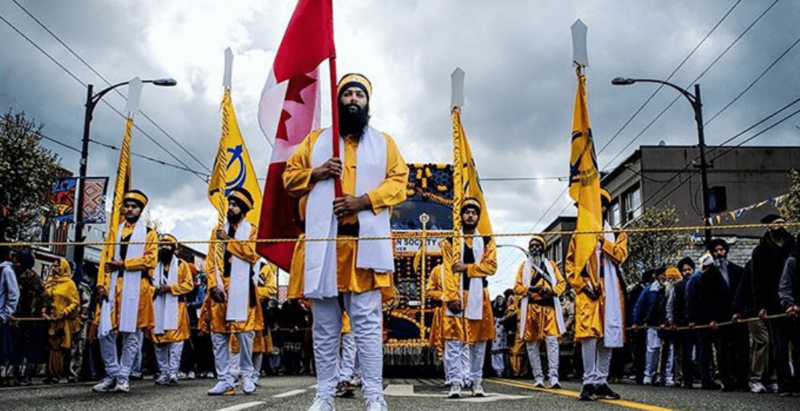 What: Vancouver’s Sikh community will be celebrating at this year’s Vaisakhi Parade on Saturday, April 13 – and everyone is invited. According to the Vancouver Khalsa Diwan Society, the Vancouver parade is one of the largest Vaisakhi events in the world. There will also be delicious free vegetarian food prepared by hundreds of volunteers and families along the parade route. What: Taking place on April 13 and 14 at Vancouver’s VanDusen Botanical Garden, this event offers attendees amazing spectacles, live performances celebrating, tons of food, and all things Japanese culture. What: PLAY Vancouver is a free and inclusive games event hosted by Young Ideas and Viva Vancouver at Šxʷƛ̓ənəq Xwtl’e7énḵ Square (formerly known as Vancouver Art Gallery North Plaza) which aims to connect and energize the community in the downtown core. Ennjoy Six Oh Fore! Mini Golf, Ping Pong with frida&frank, Hexapong, Giant Jenga, Giant Scrabble, a DSU Hoop Club Hula Hoop zone, and more. What: The inspirational, triumphant, and incredible true story of the Preston Rivulettes women’s hockey team. In 1933, four friends set out to prove to Canada that hockey isn’t just a sport for men. As they fight through the Great Depression, prejudice, and personal upheaval, can they overcome the odds and forge their own path to glory? What: Explore vendor collections and POP culture displays, comics, fan gear, toys, games cards, vinyl LP’s, Barbies and more. Enjoy the Superhero foods and Student Art Exhibit, or register to play in the e-sports competition (waiver must be completed). Plus there will be door prizes and a 50/50 draw. 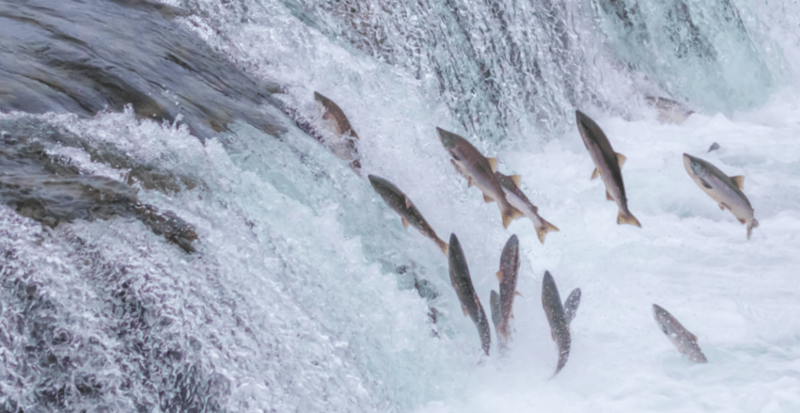 What: Help the Hyde Creek Watershed Society members release thousands of salmon into Hyde Creek. Members have spent 18 months raising coho from eggs through to fry and smolt stages and these coho are now ready to travel to the ocean. While you’re at the hatchery, visit the Education Centre and have a tour with one of the volunteer members. Exhibits and crafts are part of the day, along with a fundraising hot dog BBQ. Parking is available at the Hyde Creek Recreation Centre on Laurier Avenue. It’s a short walk west along the Poco Trail to the Hyde Creek Education Centre & Hatchery. What: Take part in the shoreline cleanup, meet new friends, or do something fun that gives back to the city. Volunteers will be cleaning up the area between Granville Bridge and the Ferry Dock. Please wear closed-toed shoes and dress for the weather. What: Competitors, attired in their most ridiculous costume, attempt to cross a pool of slush on their skis or board. For onlookers in the “splash zone,” bring your positive vibes and lively support to encourage the best performances from all participants. Participants will be able to hit the pond as many times as they want, and prizes will be given to the best costume, best trick, best crash, crowd favourite and more. Don’t forget, creativity is key for our panel of judges. Time: Registration 10:30 am to 12:30 pm. Slush Cup from 1 pm to 4 pm. What: Through public screenings, hands-on workshops, interactive panel discussions, and public forums, Reel 2 Real is dedicated to showing the best in culturally diverse, authentic programming for youth. Highlights this year include the Canadian premiere of Mia and the White Lion (France), the Canadian premiere of A First Farewell (China), and the North American premiere of Makuko (Japan). What: The second annual Elements Film Festival will be taking place at TELUS World of Science April 8 – 14. In collaboration with Science World, this year’s environmental film festival will feature programming for all ages including films, presentations and panel discussions on a broad range of topics impacting our planet. Featuring films from international, Canadian and BC filmmakers, the festival provides a platform to experience different points of view on a range of important topics including wildlife conservation, climate change, plastic pollution in our oceans, poaching, habitat loss, invasive species, and environmental law. 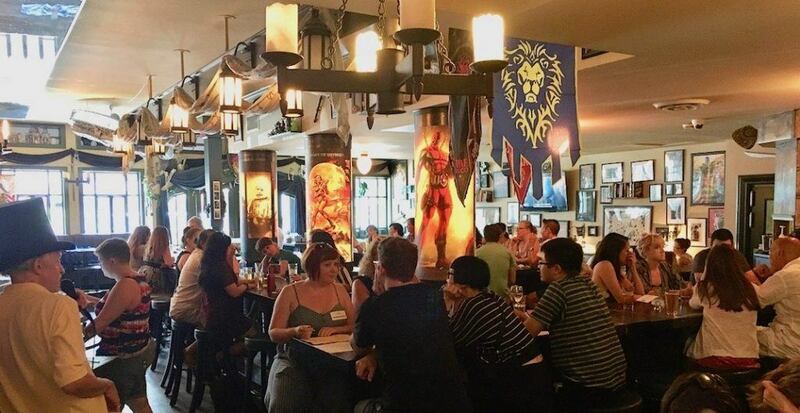 What: Tickets to this screening of Game Of Thrones will include your choice of an appetizer, a main dish, and a dessert. Enjoy pre-show games and entertainment too. What: West Coast Amusements, the largest Canadian midway operation in Western Canada, will be making its annual stop at Coquitlam Centre. They’ll be setting up for 10 straight days with a massive array of rides, games, and traditional carnival fare. The family-owned company is the same team that puts together PlayDome and a number of other pop-up events across the province. Time: Hours of operation vary based on date and weather. What: The 13th annual Tulips of the Valley Festival, now known as Chilliwack Tulip Festival, has announced its return to Chilliwack for the 2019 season. This year’s festival features more than 6.5 million bulbs. The first two weeks of the flowers will show off 10 varieties of hyacinths, 17 varieties of daffodils, and one-of-a-kind, handmade floral mosaics. Starting after the second weekend, 30 different kinds of tulips will be in bloom, with millions of bulbs in all the colours of the rainbow. The festival will also offer a number of Instagram-worthy photo ops. Returning this year is the Chilliwack Tulip Festival’s famous windmill, traditional Dutch bicycle, and the famous tulip swing. Other attractions include the Rotary Train during weekends, weekend food trucks, a flower-themed gift shop, and tractor rides. What: Port Moody is full of Earth Day events on Sunday, April 14. Head out on a bird walk with the Burke Mountain Naturalists, participate in Portrait of a City, help plant Port Moody’s Canada 150 eco-sculpture and enjoy earth-friendly crafts, activities, and more. Plus enjoy a curated selection of Earth-inspired art by the Port Moody Art Association from April 14 to 18 in the Galleria. What: For the first time ever, renowned brand Ted Baker is bringing their warehouse sale to Vancouver. Across four entire days in April, you will be able to shop from a huge selection of apparel, footwear, and accessories at up to 80% off. Brought to Vancouver by StyleDemocracy, North America’s leading Warehouse Sale event management and marketing company, the event has recently been brought to major cities such as Toronto and Las Vegas. What: Attract birds to your own backyard by understanding what helps them survive. Presentations at 11 am, 12 pm, and 3 pm. What: Vancouver Warriors bring National Lacrosse League action to Rogers Arena with a home game against Philadelphia Wings on April 14. What: Neha Kakkar is one of India’s biggest hitmakers. She appeared on Indian Idol Season 2 and returned for Season 10 as a judge. She is the voice behind mega-hits such as Kaala Chashma and Aankh Marre. Kakkar will be accompanied by multitalented Mumbai musicians and other Indian Idol stars. Tickets: Available online or at Kamal’s Video Palace in Surrey — call (604)833-1977 or (604)592-9777. $35 – $250. What: The Cannery Farmers’ Market is Steveston’s indoor winter market, held at the Gulf of Georgia Cannery National Historic Site. This unique market features local food and artisan merchants, inside a historic cannery setting. Admission to the museum is free on market days, with guided heritage tours by donation.